• Another week, another example of Glen Perkins being the best. • Crazy story of the week: A mother of two went missing for 11 years and was presumed dead only to return and reveal that she left voluntarily to live among homeless people. • Jim Thome is still looking for work even as the Indians build him a statue outside their ballpark. • Jon Bois does a lot of good writing about sports for SB Nation, so not surprisingly his tales of being homeschooled for Vice are a must-read. • When it comes to making terrible decisions for breakfast I go with Burger King over McDonald's, but people like me have been waiting decades for this news. • "The Miseducation of Lauryn Hill" is one of my favorite albums of all time, so if it takes the threat of prison time to coax the first new music in a decade out of Lauryn Hill then so be it. • Snoop Dogg and Philip Seymour Hoffman are besties, obviously. 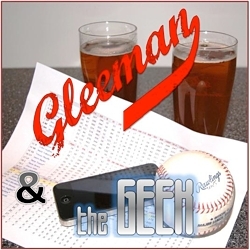 • You can't listen to "Gleeman and The Geek" live on Sunday because the Wild-Blackhawks playoff game bumped us off KFAN, but you can hear what we sounded like on the radio last Sunday. I'd have just gone home about 30 seconds in. • Tommy Lasorda reacted to seeing Psy at Dodger Stadium exactly like you'd expect. • What has gotten into Kevin Correia? I'm glad you asked. • Jack Morris has a new radio gig in Toronto and he's accusing opposing pitchers of cheating. • Julio Borbon has a hit by pitch he'd like to sell you. • Mila Kunis was just named FHM's "sexiest woman in the world" after previously being named GQ's "sexiest woman alive." I've been driving that bandwagon since naming her Official Fantasy Girl of AG.com back in 2010, but now that it's the consensus opinion it may be time to move on. Kate Mara is the current front-runner, but I'm also considering Lizzy Caplan, Aubrey Plaza, Chelsea Peretti, and Alison Brie. Obviously this isn't a decision that should be made quickly. • Baseball-Reference.com now has game logs and splits for minor leaguers dating back to 2008, because Sean Forman is a saint. • What happens when A.J. Pierzynski leaves a team after eight seasons and then faces them for the first time? • The most shocking revelation from Jason Collins' hour-long chat with Bill Simmons is that he's a Blackberry user just like me. • As a lifelong Howard Stern fan it always make me happy when he has someone else I like on as a first-time guest and they get along well, so Marc Maron's appearance was great. • Sunday afternoon the Minneapolis JCC is hosting "Hank Greenberg: The Hero of Heroes" author John Rosengren for a chat about Hank Greenberg and Jewish baseball players. Hanley has also been a guest on my favorite podcast, "Stop Podcasting Yourself." • I'm very happy with my employers for renewing the most underrated show on television. • In her latest recap Molly Lambert of Grantland asked arguably the most important question in "Mad Men" history: What did Pete Campbell order from the Chinese restaurant? • I got into a bar debate about which "Mad Men" character you'd most like to be friends with and my choice was Stan Rizzo, so I'm happy that the actor who plays him, Jay R. Ferguson, seems pretty great too. Especially for a former teen heartthrob. • On a related note, here's my favorite GIF from the most recent "Mad Men" episode. • No one cares because reviewing movies six months later is silly, but I finally saw "Silver Linings Playbook" and didn't love it. Lots of good parts, but also lots of rough draft-like parts. I've decided that 2012 had tons of very good movies, but zero great movies. • Follow-up from last week's Link-O-Rama: Stand-up comedian Rob Delaney actually did a very nice job singing the National Anthem at the Dodgers-Brewers game. • Dayn Perry, whose podcasts with Carson Cistulli are basically my favorite thing ever, has a new book out called "Drinking With Boileryard Clarke." 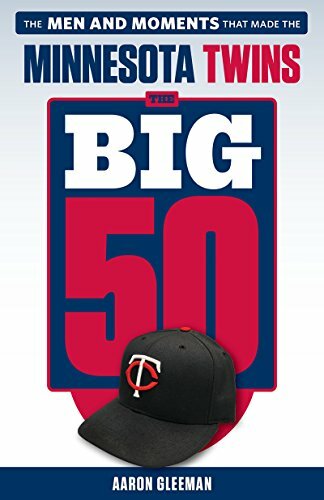 • Parker Hageman of Twins Daily was a guest on "The Sportive" podcast and a good, filthy time was had by all. - "She men's restroom recap"
- "Ribas Twins what team is he in now?" - "Girl in baseball jersey"
- "Joe Mauer personal life"
- "Why doesn't my brain want me to lose weight?" - "Cybermetrics on A.J. Pierzynski"
- "Binging on macaroni and cheese"
- "Started watching 'Dawson's Creek' on Netflix"
- "Aaron Gleeman is Jew"
This week's blog content is sponsored by "Hank Greenberg: The Hero of Heroes" author John Rosengren's upcoming appearance at the Minneapolis Sabes JCC on May 5. Please support him for supporting AG.com.